Olive oil is an important component of the Mediterranean diet, rich in nutritional values, which are necessary for the human body. Majorcan oil contains important vitamins (A, D, E, K) especially vitamin E as an important antioxidant that protects the body cells from the damage of free radicals, which are produced in excess by stress, toxins (eg, nicotine or alcohol) or radiation. 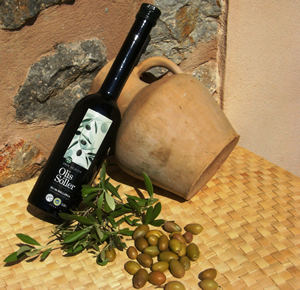 100 mg of olive oil contains about 13 mg of vitamin E.
Majorcan Olive Oil contains essential fatty acids omega-6 and omega-3. These acids are vital, but can not be manufactured by the body and must be obtained from food. They are important for heart health, blood vessels, brain and nerve cells. A balanced ratio of omega-6 and omega-3 fatty acids is important. 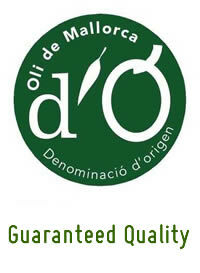 Olive oil from Majorca contains with 17: 1 a favorable ratio. (Seed Oil 250: 1, mother milk 15: 1). 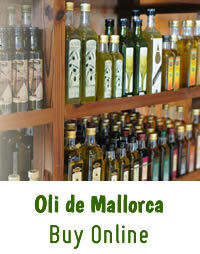 In addition, Oli de Mallorca has a high proportion of unsaturated fatty acids and polyphenols, both essential for a healthy cholesterol balance.